The chapter focuses on the discussion of gender and education in Post Mao Era in the Chinese Education System, one of the largest educational systems in the world. As history turns to a new page in China's development, China of the Post Mao Era features an emphasis on education and respect for intellectuals and knowledge. Access to higher education was reopened to the public in 1979 and the Gaokao testing system as the selective assessment system to enter college was reestablished. The K-12 schools were established and expanded to provide basic education for school age children. Educational institutions continued to develop to include regular K-12 schools, vocational schools, 2 year-colleges, and 4-year colleges. However, when increased opportunities become available to the general population, is gender equality achieved in schooling and higher learning settings? 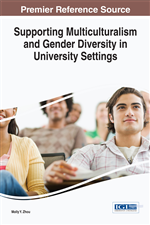 In this chapter, factors that impact gender and schooling and college entrance assessments are explored and analyzed. The expansion of the educational system in Post Mao Era and the refocus of schooling on knowledge and intellectual development could not be separated from the last leader of 20th century in China’s history, Deng Xiaoping. As a result of his leadership, the new open door policy was not only a possibility but also a fact. In the Chinese history the 80s was a Golden Age after Mao’s almost a decade-long cultural revolution, which almost destroyed the economy, education, the health system of the country. Due to Deng’s open door policy, new blood was poured into the educational system to allow intellectuals to go to college through Gaokao selection system. More schools were built to provide access K-12 Education for school age children. Nine-year compulsory education system was provided to the citizen by the turn of the 20th century. At the end of the 20th century, the Chinese educational system is probably the largest one in the world (James, 2006). I was the product of the Golden Era in terms of schooling experiences. When the world-known social movement Cultural Revolution in the country ended in 1977, Deng’s national policy on education encouraged individuals to go to college through the selective assessment system of Gaokao. In comparison to my parents’ generation and my grandparents’ generation, my generation had better opportunities to be educated and to be exposed to the West for both boys and girls. Although the educational system was not yet comprehensive, I had options to choose which school to go to. My elementary education experience was wonderful when I think back about the care free and the leisure and recess that I used to have in comparison to what today’s elementary children have during their school days. I started the Kindergarten when I was six. At age seven, I started first grade. Preschools were not part of the educational system in the 80s. Even though I was 7 and was in first grade, I was one of the youngest ones in class. While at school, we had co-education classrooms. Boys and girls were mixed together. Some of the boys and girls were older than me but we played and learned together well. I did not think much about gender and education at all until I came to the third grade when I realized that I was losing some classmates because either their parents did not support their education or they did not like learning and chose not to come back to school anymore. I thought I was fortunate that my parents always wanted me to be in school and checked on my performance in school frequently. Back then, it was quite frequent for teachers to visit families to communicate with parents on their children’s performance at school. Every time, when my teacher Ms. Sun stopped by our house, my parents, especially my mom would warmheartedly invite her in. Of course, the communication was always about my progress and my excellent performance on tests and exams and all the praises a teacher could share with a parent. I never had to worry about teacher and parent talks at all. The casual PTAs happened all the time and no official appointment were required or needed. My parents had four children: two boys and two girls. We were about 2.5 years apart from each other. At the time when I was born in the 70s, the main culture still featured agriculture and physical labor-driven commune group work system. Even students in schools were given shares to contribute to the labor in the field work. Males and boys were favored for those types of work and females and girls would do more domestic work such as house chores. At home, it was similar in terms of labor distribution for boys and girls. When we were little, my parents’ residency status was rural and they had to do hard labor in the crop field, such as rice field work and vegetable field work. Even though I did not help much of the field work, I helped with house chores a lot. But that did not make me feel boys were less important or less appreciated for work around the house for my family. Our parents were open-minded in comparison to a lot of other parents of same age children. My parents treated us all equally. They had the same high expectations for us to be excellent in everything we did including school performances. Most importantly they supported our access to educational opportunities without a single moment of doubt. They strongly and firmly believed since our day one of schooling that boys and girls should all be educated for a bright future, which was not true to all our classmates and their families. They strongly believed all their four children should all go to college.